How can I recycle a disposable lighter? I want to recycle them but I don't know exactly what I should do. Should I separate the metallic and plastic parts and recycle them normally? Or should I take the lighters to some special facilities? What should I do with the igniter? Yes, especially if you have many of these to recycle, disassembly is likely to improve the positive impact of recycling. I'm assuming you are speaking of spent lighters (absent of fluid) and that your reference to IGNITER is a reference to the flint-like element that fragments when meshed against the turning thumb wheel and create a spark to ignite the flame. The remaining components are. Recycling the metal separately in a facility that specializes in metal recycling, if available in your region, is certainly an excellent choice. It is most convenient if you take a run to such a facility regularly with all of your metal to be recycled. For the body, Bic uses polyacetal homopolymer resin, which Dupont brand named Delrin. It is recyclable in some municipal and county recycling systems. You should probably check. 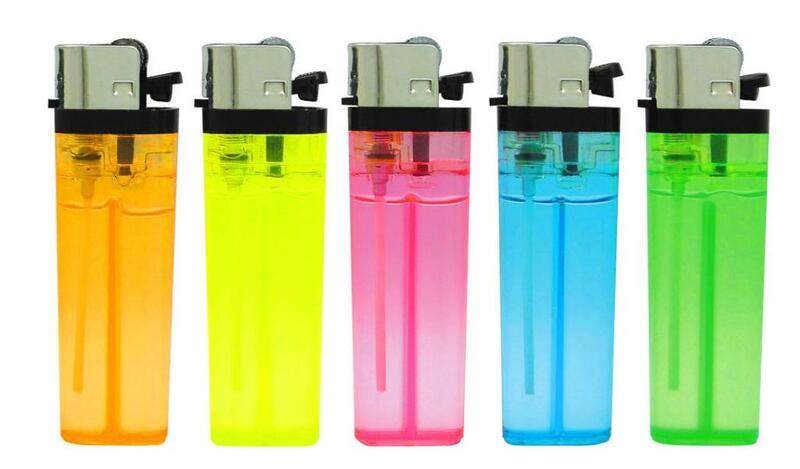 Other lighter manufacturers may use other plastics. Without doing a chemical analysis of several brand's flint-like igniter elements, it is difficult to recommend recycling without some apprehension. Perhaps normal refuse is the correct choice for those without more information. Not the answer you're looking for? Browse other questions tagged recycling or ask your own question. How to recycle almond shells?